Dear Bloggers « You know… that Blog? Oh my dear blog friends, I know I have harped and harped on this subject until I’m blue (or at least somewhat red) in the face, and for the past couple of years, but it’s doing very little good so far. So I should probably just shut up about it, right? Well, as I suspect my specific, undiagnosed OCD won’t let me, I’m going to try again. 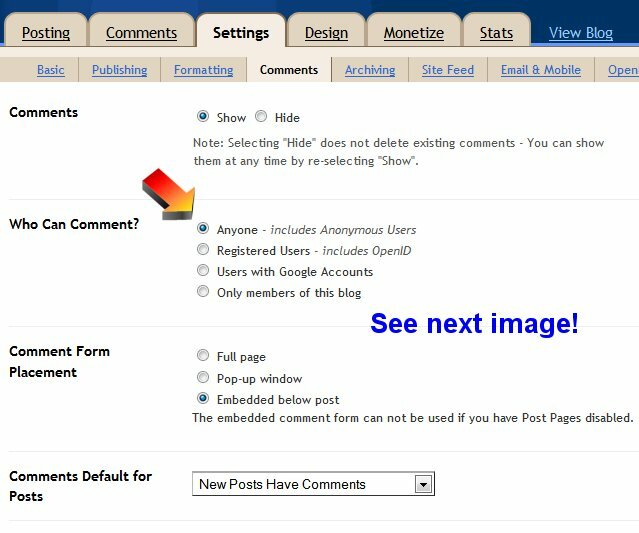 WHY won’t some of you enable Name/URL for your blog comments? WHY? Don’t you know you’re stopping people like me, who obviously have a LOT to say, from leaving you love and adoration (ok, not always) and other comments? Don’t you want to hear from us? I know you do, because I’ve had some pretty pointed comments from people in the past who expected me to visit (which I did) and comment (which I couldn’t). My Sensational Haiku Wednesday people in particular are regulars that I adore, and a few of them are preventing me from leaving my thoughts on their fantastic haiku! I’m super busy, like most people with 2 companies to run, 2 busy kids, a husband, and numerous other IRL activities on any given day. I can’t try to track your email address down and send you a note every time I find I can’t comment on your blog… you know? Sometimes I do, but often… I just move on. I feel a little like I’m intruding in a xenophobic society when I go to leave a comment, and can’t. Like, because I won’t use Blogger, or WordPress.com, I’m not welcome. Rather like a child peering through the toy store window, I guess. Only I’m not so much envious of the other kids playing inside as annoyed as all get out that I can’t speak my mind on what you’ve written. So often I come across a truly excellent blog post, and want to leave my thoughts with the author, only to find that I can’t. Argh. Given what I know about how most bloggers think, I’m fairly certain this is not at all how you intended to come across, my bloggy friends. Given that most of us are reaching out to people in the world in this special format, it’s not that some of us are so picky that we’d only allow mirror images of our own blogs to come in. That defeats the whole purpose of getting out there, and meeting all kinds of new and wonderful people. Yes, I guess I did just call myself wonderful, didn’t I… well, that’s ok, I think you’re all pretty wonderful too! But you annoy the crap out of me. I’m going to bet that most of you don’t even realize that your blogs are set up to ostracize so many people. Maybe you’re not even aware that there are bloggers out there who don’t use free blog services at all, and who can’t (or won’t) use those spammy comment services like “OpenID” that so many people insist on. We are definitely in the minority, you’re right about that. But we’re out there, and there are a lot of us. What about your WordPress.com account, you ask? Well, I did some homework, and it turns out they’re like a limited version of a full WordPress setup (like I use, in my own pro hosting account). The answer there, my friends, is Akismet. Akismet all the way! It’s a fabulous free (unless you choose to donate to them) plugin that catches 99% of all spam attempts on your blog. The odd one that does get through can be thwarted by setting it up so only people you’ve previously approved comments for can post without being moderated. 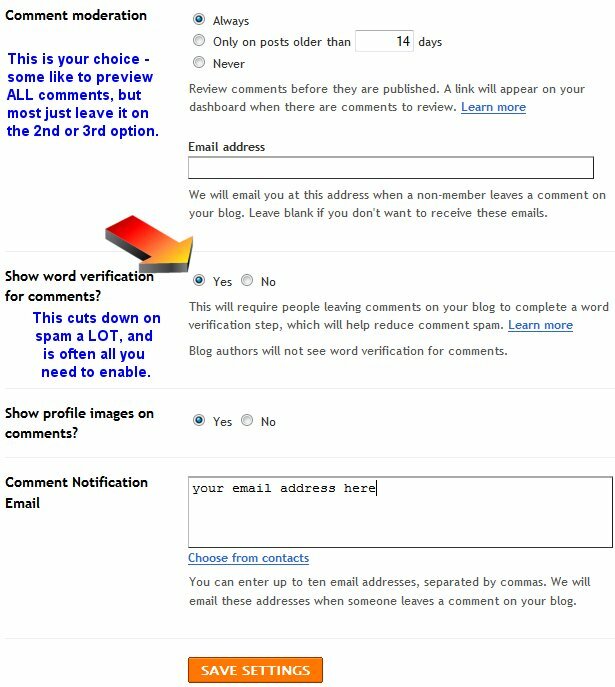 So it will be held in moderation until you either say “yep, spam” and mark it so, or allow the comment. I personally hold all comments that contain a URL for moderation (not including Comment Luv, which is another nice plugin that I use). Check out your settings in your account and you’ll see what I mean in there. WordPress also comes with Akismet preinstalled, and all you need to do is set it up by getting your API key – all from within your account. Easy-peasy. So now that we’ve gotten that out of the way, I’m hoping it will alleviate some of my blogging stress. You don’t want to cause me stress… right? Yep, you’re quite right – I blame muscle-memory… my fingers type “wordpress.org” out of habit since I go there so often to look around! Fixed – thanks for pointing it out!